Phillips in Association with Bacs & Russo sets new sales record, achieving more than CHF 45 million in a single weekend and retaining market leadership during the Geneva watch sales of spring 2018. 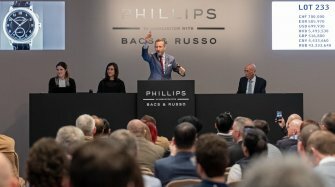 Phillips in Association with Bacs & Russo achieved an unprecedented sales result this weekend, recording the highest total ever for watch auctions held over a single weekend, with the combined total of CHF 45,199,750/$45,195,230/€ 37,836,710 far eclipsing results from all other auction houses. 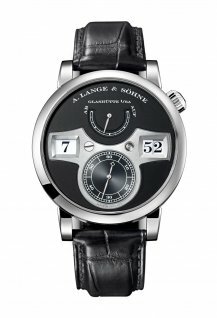 - Highest result achieved by any A. Lange & Söhne timepiece sold at auction with the sale of unique stainless steel ‘1815 Homage to Walter Lange’ for CHF 852,500. Clearly, the excitement witnessed during last November’s sale of Paul Newman’s Rolex “Paul Newman” Daytona – which holds the record for the highest result achieved by any wristwatch sold at auction at $17.8 million – has not dissipated. 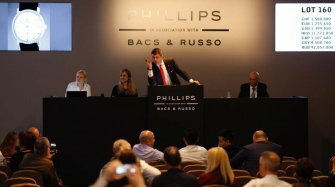 Phillips in Association with Bacs & Russo welcomed thousands of collectors at the Hotel La Réserve in Geneva to review the watches offered this season, and many more joined online in order to place their bids, or simply to follow the action in the room on sale day. Many came to witness Daytona Ultimatum, a thematic auction consisting of 32 of the very best, most precious, and rarest Rolex Daytona watches. The Daytona Ultimatum evening sale brought in over CHF 22 million, with just 32 lots offered in Phillips’ most exclusive watch auction, bringing the average lot value to nearly CHF 700,000. The auction results were led by the mythical white gold Rolex reference 6265 known as “The Unicorn,” which achieved the second highest result for a Rolex watch sold at auction. In total, five Daytona models cleared the CHF 1 million mark, including four watches made in stainless steel. 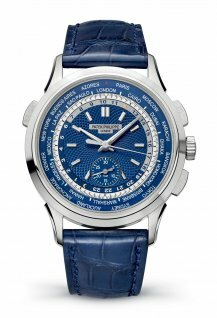 Daytona Ultimatum was followed by Geneva Watch Auction: SEVEN, a non-thematic sale comprising 185 watches from the finest watchmaking brands that were chosen on the basis of their condition, rarity and quality. The sale realised a total of CHF 23,015,250/$23,012,948/€ 19,266,065 (pre-sale estimate: CHF 10.9 to 19.8 million), selling 98% by lot and 98% by value. Together, Daytona Ultimatum and Geneva Watch Auction: SEVEN realised a combined total of CHF 45,199,750/$45,195,230/€ 37,836,710 the highest total result ever achieved for a series of watch auctions. 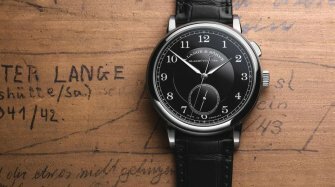 In total, nine watches cleared the elusive CHF 1 million mark. 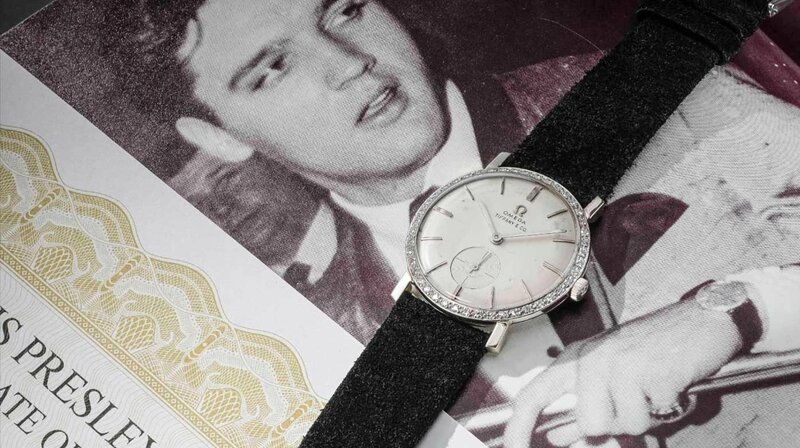 One of the most notable watches included in this weekend’s auction was Elvis Presley’s white gold Omega (lot 160), a wristwatch formerly gifted to the King of Rock’n’Roll by RCA Records in 1961 to commemorate the sale of 75 million records. 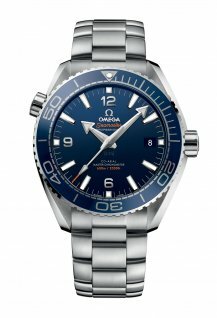 The watch, sold during the first session of Geneva Watch Auction: SEVEN, achieved a remarkable final result of CHF 1,812,500/US$1,812,318/ €1,517,243 establishing a new world record for any Omega watch sold at auction. 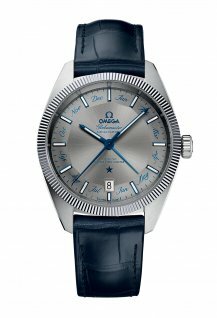 Several collectors attempted to acquire the watch, with 10 bidders vying for the prize at one point, but it was the Omega Museum who will ultimately bring the watch back to their headquarters in Bienne, Switzerland, as the latest addition to a growing collection. 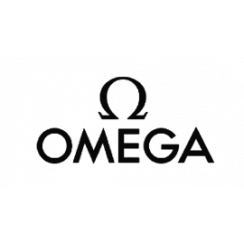 Elvis Presley’s Omega capped a wonderful evening for Omega, which also established a new world record for a Speedmaster following the sale of an early and well-preserved Speedmaster ref. CK 2915-1 (Lot 124) for CHF 408,500/$ 408,459/€ 341,955. Announced as the top lot of the Geneva Watch Auction, the possibly unique Patek Philippe yellow gold reference 2499/100 (lot 226) held its rank, fetching CHF 1,572,500/$1,572,342/€1,316,339 and set a new world record for a fourth series Patek Philippe Reference 2499. 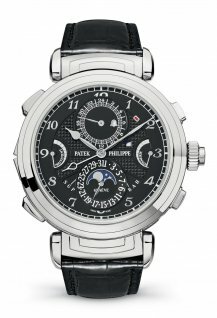 Other historically important vintage Patek Philippe references attracted determined collectors from all over the world, producing some of the most spirited bidding of the weekend. Some of the strongest results include the sale of an extremely rare World Time reference 1415 (lot 268) for CHF 972’500/$972,402/€814,079, and the sale of one of only two known platinum examples of the reference 3448 perpetual calendar (lot 224) for CHF 1,092,500/$ 1,092,390/€ 914,531. 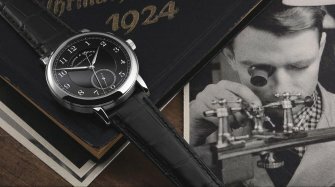 The results confirm the ever-existing enthusiasm collectors have for vintage wristwatches made by the storied Swiss manufacturer. Rolex watches also performed strongly. Two historically important Rolex reference 6062 triple calendar moon phase watches, one made in 18 karat yellow gold (Lot 128) and the other in stainless steel (Lot 180), respectively sold for CHF 636,500/$ 636,436/€ 532,814 and CHF 1,452,500/$1,452,354/€1,215,887. Finally, this weekend will be remembered for the results achieved by watches that sold for charities benefitting children, starting with the aforementioned sale of ‘The Unicorn’ Rolex Ref. 6265, which achieved CHF 5.9 Million. Meanwhile, Iron Mani’s Urwerk Reference UR-110RG featured in Spiderman: Homecoming1 on the wrist of Robert Downey Jr. sold to a phone bidder for CHF 150,000/$149,985/€125,565. Proceeds of its sale went to the charity Manusodany, a non-profit organization that helps fund development projects for disadvantaged individuals of Haiti. A wide selection of historically important vintage Breguet timepieces included in the sale also attracted strong interest from collectors across four continents, including the Breguet Museum itself. Aurel Bacs, Senior Consultant, expressed his satisfaction after the sales: “Wow – this is the first word coming to my mind. I can’t remember having seen so much enthusiasm from the market for a series of watch auctions, ever in my career. 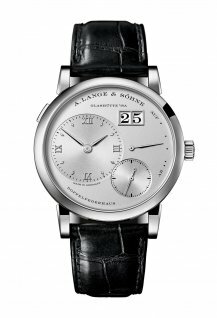 Records were broken as collectors once again recognised that quality, originality and rarity, paired with excellent provenance, are the key ingredients in today’s watch collecting landscape. 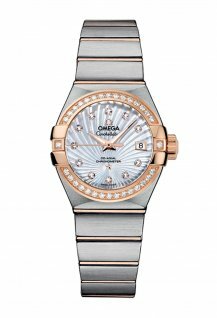 The atmosphere in the room was electric and the audience was rocking from the beginning to the end – not only when Elvis Presley’s Omega was auctioned! 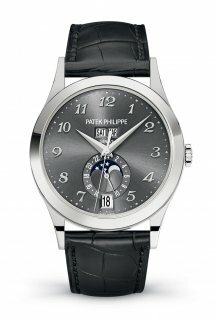 To me, as a lover of all beautiful watches, across styles, periods and manufacturers, it was so satisfying to see the million Swiss Franc mark cleared by multiple brands, notably Rolex, Patek Philippe, and Omega. 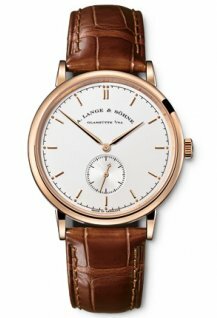 Further record results were achieved for watches signed by the historic maisons, A. Lange & Söhne and Breguet. 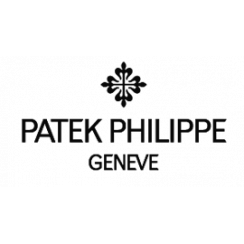 Patek Philippe enjoys outstanding renown and rare prestige, due to the constancy with which the Manufacture has applied its philosophy of excellence ever since it was founded.